The New York Review of Books decided to reprint this classic 1946 hip work about the jazz world, especially New York and Harlem, by Mezz (born Milton) Mezzrow and Bernard Wolfe. It has a new introduction by jazz writer Ben Ratliff. 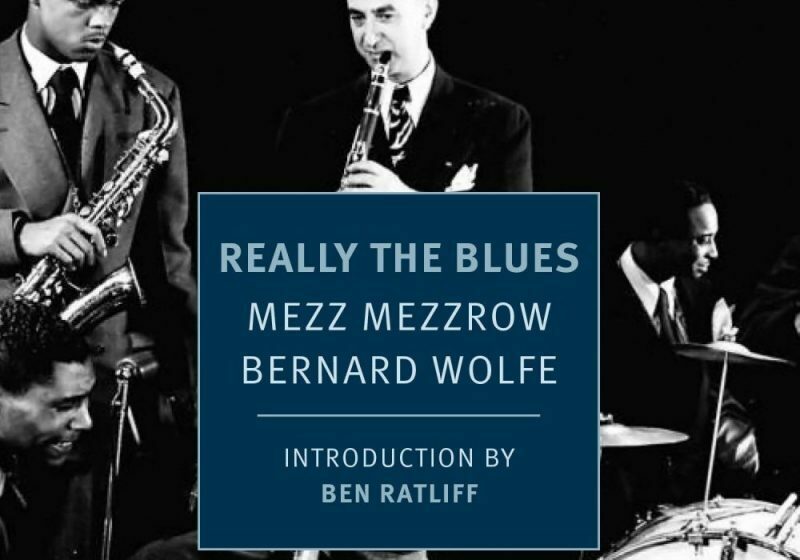 This jazz memoir by Mezzrow and Wolfe is a classic. With memoirs, it’s difficult to corroborate facts from hyperbole and, sometimes, outright falsehood. This book should be read and interpreted with this caveat: It is filled with jazz jargon, so much so, that authors included a ten page glossary. Some terms have moved into standard vocabulary, e.g. “weed.” Others remain obscure and incomprehensible to the uninitiated. For those few who are completely unacquainted with Mezzrow, he was a Jewish clarinetist who decided to become black. He married, second time, a black woman and moved to Harlem. He recorded with some star performers, including Sidney Bechet, and got the endorsement of French jazz enthusiast Hugues Panassié. However, most critics felt that Mezzrow was a mediocre clarinetist, or worse. Mezzrow was known as a dealer in high-quality marijuana and “Mezz” became a one of the many synonyms for the product. Bernard Wolfe (1915-1985), co-author of this book, is of interest because of his background. He served for eight months in 1937 as personal secretary to Leon Trotsky and is best known for his 1959 novel, The Great Prince Died, a fictional account of Trotsky’s assassination. In trying to find someone who might have known Mezzrow, I called Jack Bradley, photographer and associate of Louis Armstrong in the latter’s late career. Bradley reported that Mezzrow had died before Jack became associated with Armstrong. However, Bradley reported that Mezzrow had been supplier of Mary Jane to Armstrong and group. Bradley also reported that the High Times Convention in Amsterdam was scheduled to give medals to Armstrong and Mezzrow, posthumously. Bradley traveled to Amsterdam and received the medal in behalf of Armstrong. Milton Mezzrow, Jr. was present to receive the medal on behalf of his father. Bradley reported that the medal is now displayed in Armstrong House Museum, Queens, New York.